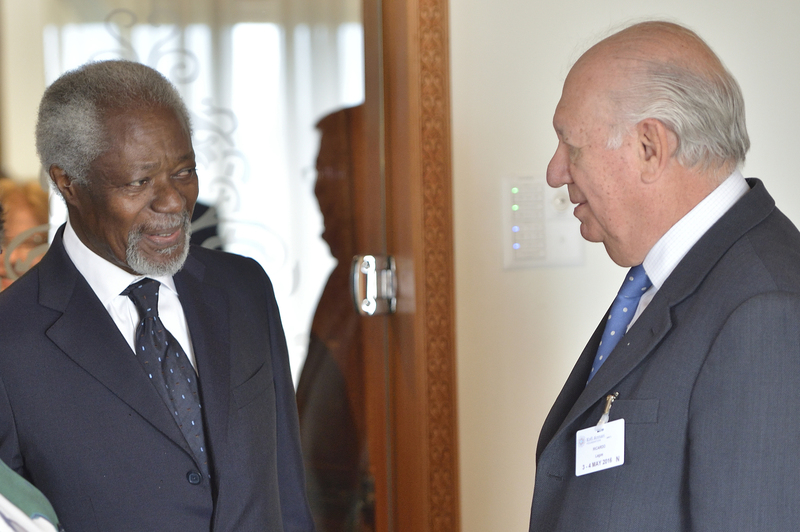 Kofi Annan and Ricardo Lagos. Photo by Eric Roset. The Elders are delighted to announce that Ricardo Lagos, former President of Chile, has accepted their invitation to join the group. Mr. Lagos, 78, served as President of Chile from 2000-2006. A lawyer and an academic, he served as a delegate to several UN conferences under Salvador Allende and played a key role in securing Chile’s return to democracy in the late 1980s after the dictatorship of General Pinochet. After leaving office, he established a foundation for the promotion of democracy and development in Santiago.